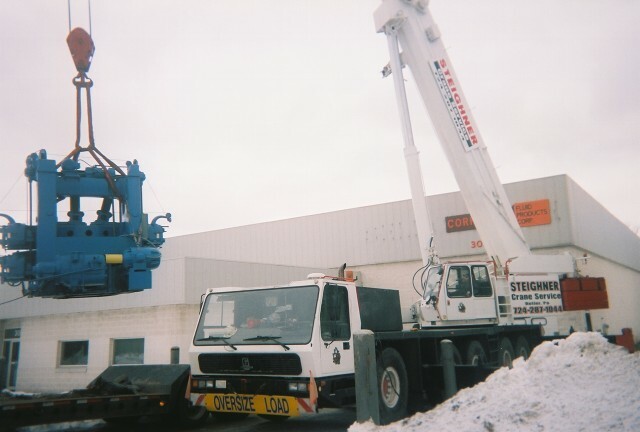 Steighner Crane has been assisting customers, big and small, around the Tri - State area for over 70 years. Clair Steighner Sr. founded the company in 1938, and the torch was passed onto his grandson John Steighner who bought the name and cranes in 1994. John now has a wide variety of services available from forklift services, rigging, demolition, machinery moving and crane rentals. Steighner Crane can help set trusses on your new home to relocating an entire manufacturing company to a new facility. Steighner Crane helped the U.S. Coast Guard and the U.S. Navy upright the gigantic freighters, yachts, and fishing trawlers in the recovery efforts in Louisianna when Katrina struck the US Gulf Coast. We like to tackle the challenging jobs. We have cranes, forklifts, and manpower along with years of experience to undertake the most complex of jobs. The company is on call 24-7 for any job or emergencies. Job co-ordination and free estimates are available anytime. 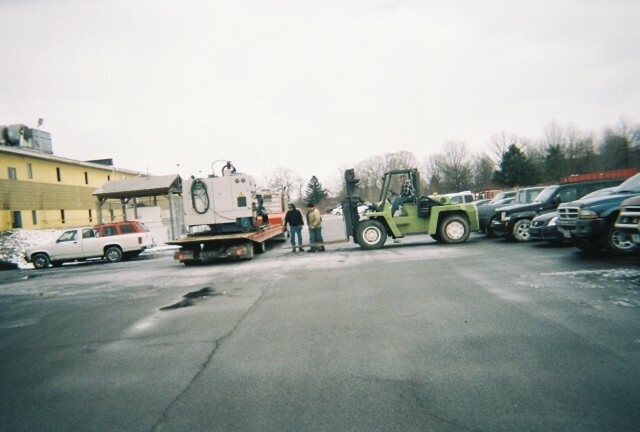 Whether you are moving one piece of equipment or relocating an entire plant, installing a chiller on a high-rise or a turbine or generator in a power plant, we have all the equipment you need to get the job done quickly and safely.